A successful movement to end violence against women and girls must include men and boys. One Billion Rising and V-Day know this, and they just released a short film honoring the involvment of men and boys in the anti-violence movement. The video is made by filmmaker Tony Stroebel and puts writer, performer, and activist Eve Ensler’s “Man Prayer” to action on screen. You can view the two minute film online. There is a lot happening in Rochester and across the country (and world!) 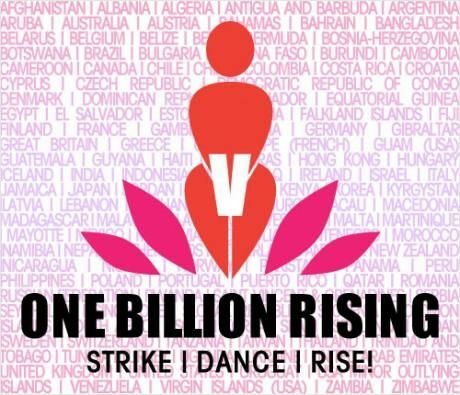 to commemorate One Billion Rising, the 15th anniversary of V-Day. V-Day is a global activist movement to end violence against women and girls. Here at the University of Rochester, SBAI is putting on a feminist photography contest: “If I had a camera…” Re-Imagining Film and Media Through a Feminist Lens. Photo entries are due by February 1st! You can learn more at our website and here on our blog. This entry was posted in Uncategorized and tagged #Activism, #boys, #domesticviolence, #endviiolence, #eveensler, #girls, #men, #obr, #onebillionrising, #strike, #v-day, #women. Bookmark the permalink.